Stainless steel grates for your special project. This is a one time special price for the entire lot of grates. 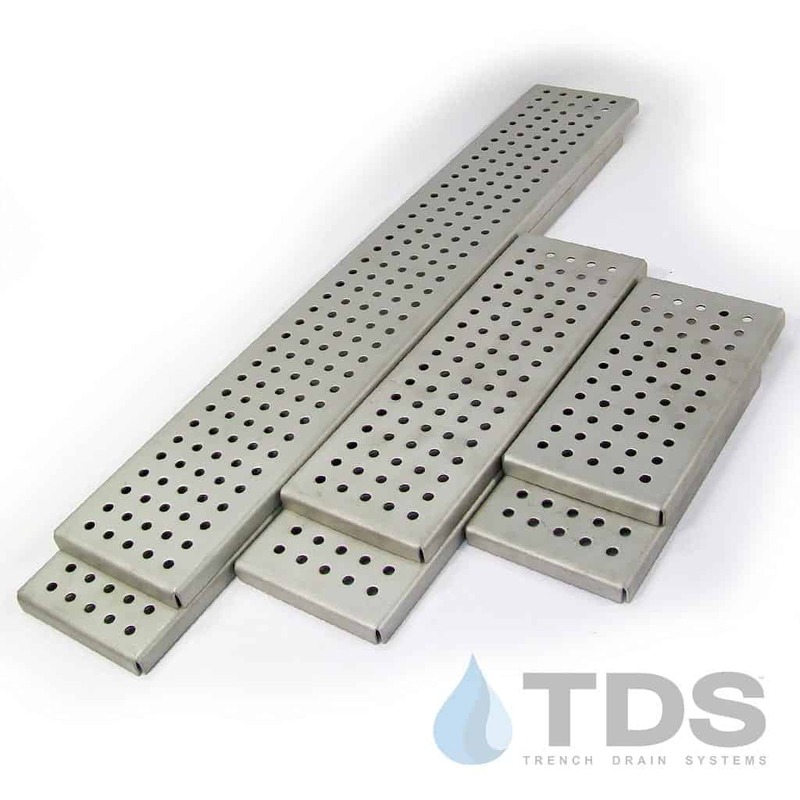 New and unused grates are made from 304 Stainless Steel and are perforated with heelproof 1/4″ holes. Bead blasted (satin) finish. Great for a kitchen counter or greenhouse project where you are covering your own handmade drain trough. That’s over 250″ of grating (approx. 21ft.) at a blowout price! 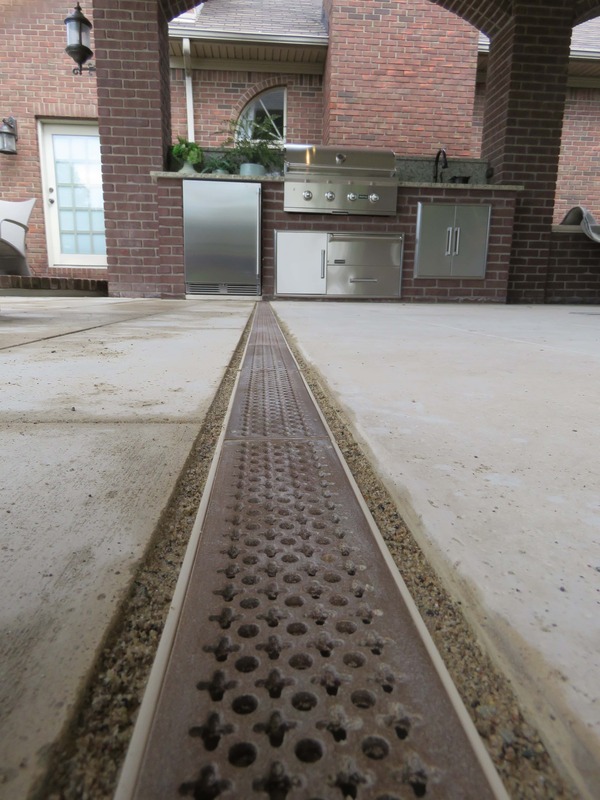 These are custom made grates at a special price. 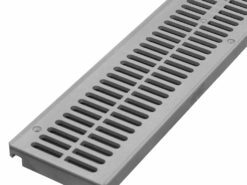 If you are needing a higher quantity, we would be happy to quote a price for additional grates. Please contact us with your dimensions.